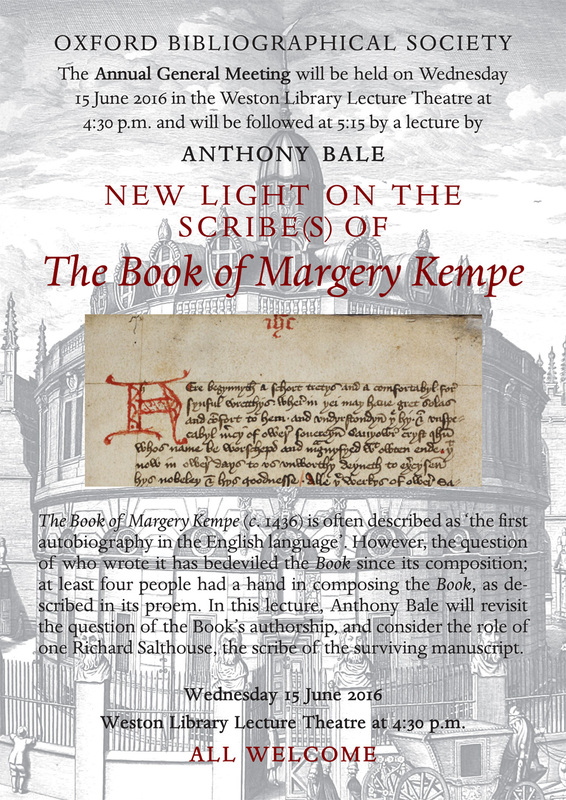 The Book of Margery Kempe (c. 1436) is often described as ‘the first autobiography in the English language’. However, the question of who wrote it has bedeviled the Book since its composition; at least four people had a hand in composing the Book, as described in its proem. In this lecture, Anthony Bale will revisit the question of the Book’s authorship, and consider the role of one Richard Salthouse, the scribe of the surviving manuscript.